The other day Patrick posted a number of pictures looking at shared spaces around the city with a number looking at O’Connell St. Our friend oh.yes.melbourne dug through his old photos and was able to match up them to ones he had taken of from almost the exact same locations. The results are below. Just mind blowing that High Street retailers are fighting against this kind of change. Look at all those people, people with wallets and purses and money. All those cars did was drive people away – literally. The For Lease sign says everything…..
Was going to say the same thing. Much more active/inviting shop fronts of the original stores too. Check out the World store windows on the corner. I went past O’Connell St on my way to the Casino last Sunday afternoon and was surprised by how few people were utilising the street. Perhaps it was just because it was a Sunday afternoon but the absence of tyred pedestrians left an empty vacuum when I saw it. 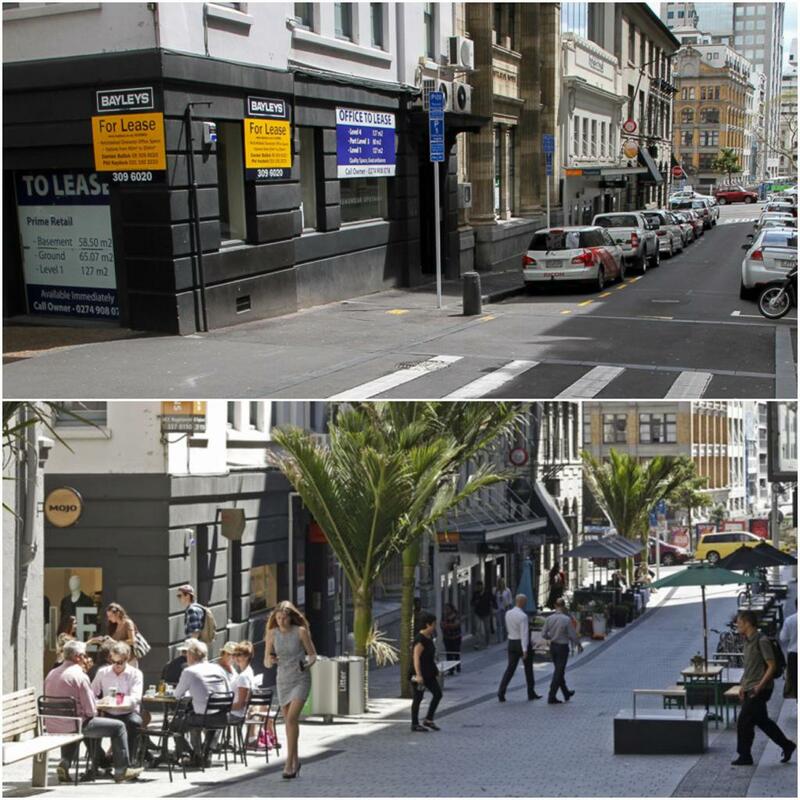 BTW before one of the moderators starts typing in anger I am a fan of turning one-way streets into “shared spaces” but as has been shown by Fort St the concept doesn’t work for the wider streets. Much of the CBD is empty on Sundays with the offices closed = tens of thousands of people not there. Consequently the cafes are less likely to open and people have no reason to hang around O’Connell — weekend people are probably going to head to places Wynyard Quarter instead. 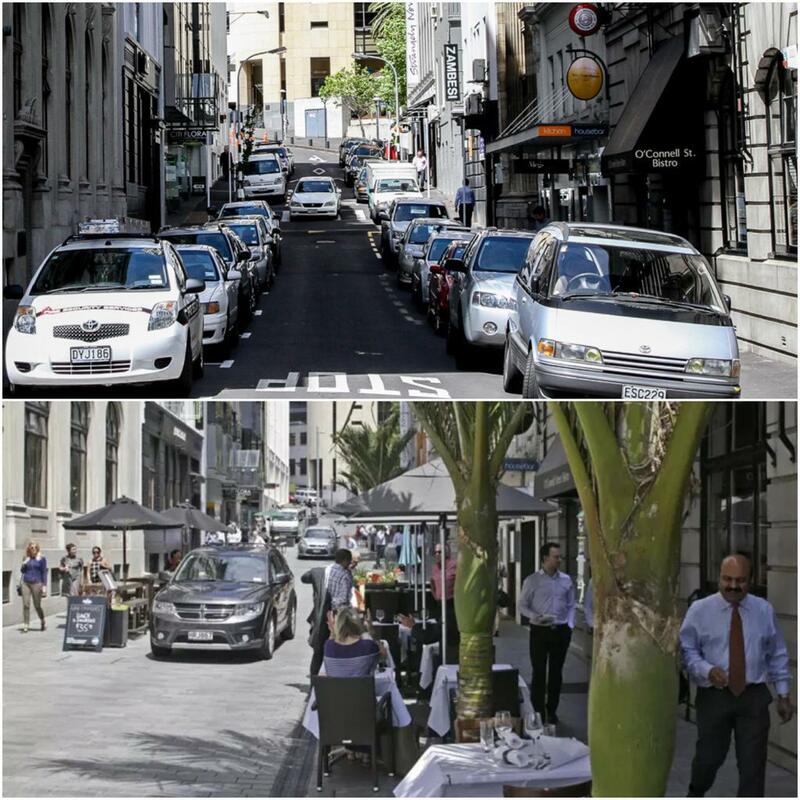 Fort St is much nicer than it was, but the relatively high volume of vehicles shows that perhaps downtown Auckland hasn’t been optimized to allow for pedestrian-heavy areas. You can also see this with most of Elliot St; it’s only partly-used. 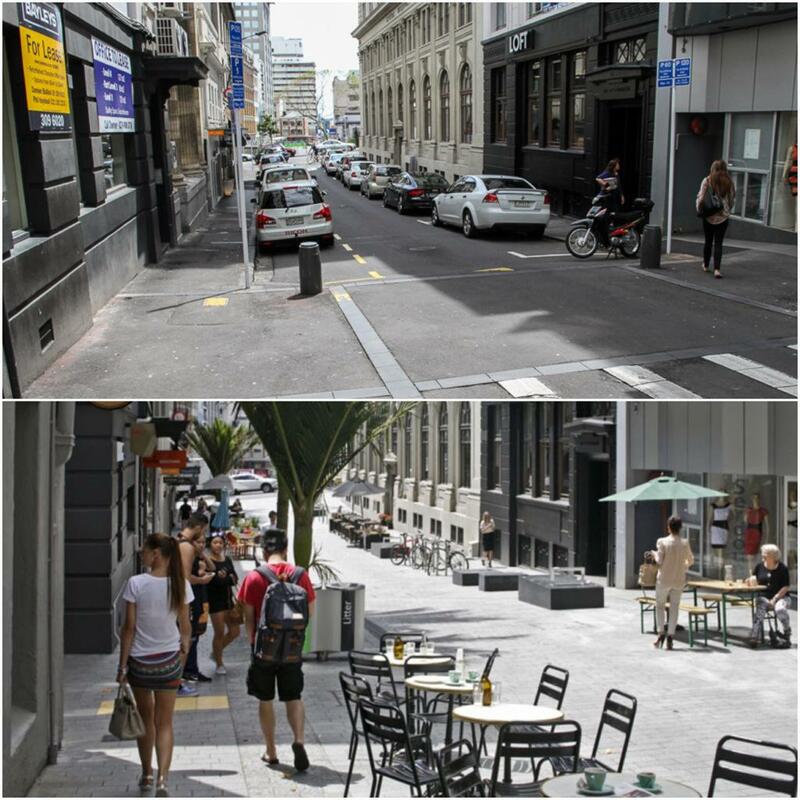 Funny, i drive down hobson street last Sunday and was surprised how few cars were using it. Really, I thought Fort St was a perfect example of how it can work for wider streets, although I’d argue that it could use some more street furniture, it has been a huge success with foot traffic increased ten fold compared to before (this is just from my perception from when I’ve been in the area, would be nice if AT had some figures? Did they do before and after pedestrian counts?). The only time I’ve seen no pedestrians on O’Connell St was a Sunday morning when the shops weren’t open. I was on the southern motorway last week at 3 am and it was nearly empty! This is of course a complete pointless and meaningless comment. Compared to the stores that used to be on High Street a few years ago, it has definitely lost the chutzpah. 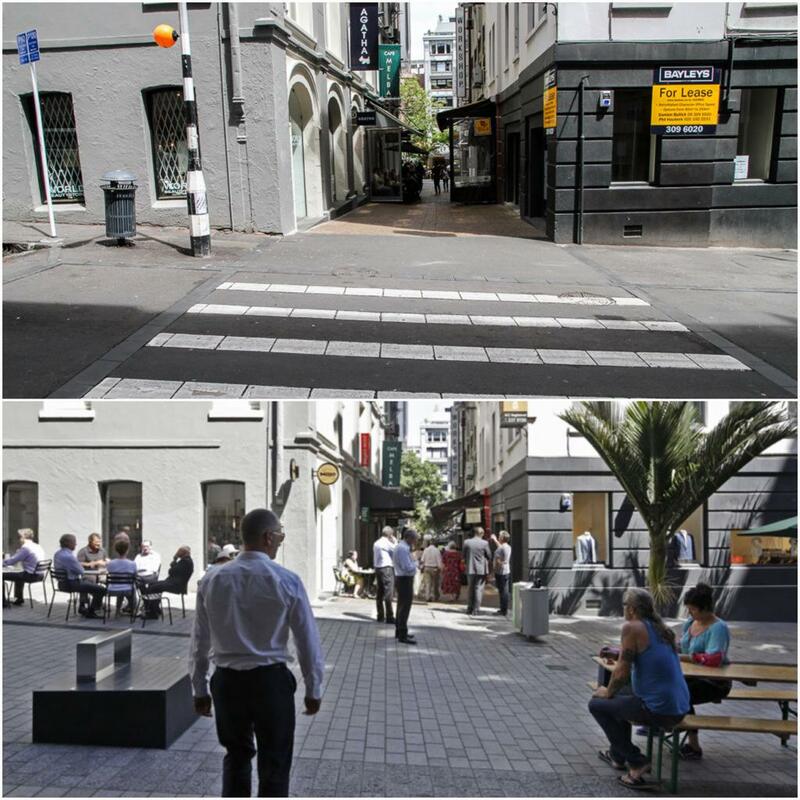 It seems that Britomart has stolen alot of the stores and now High Street is an extension of Llorne Street with an array of cafes and not much else (not necessarily a bad thing, but a considerable change from what it was). High Street is also to narrow to walk through on a busy day. I’m so surprised that the Council seems reluctant to challenge the shop owners and actually turn it into a shared space….rant over! Which shops? Can’t we organise to stand outside those shops with a clipboard talking to the people who go in, asking them if they drove or walked? Workshop, really? That’s disappointing — I always had them down as a decent sort of business. And aren’t they friends of the Reynolds clan? Yup but we disagree about urban design. Workshop has the best location on High St, a very strong corner at the top of the long pedestrianised Vulcan Lane which draws thousands of people up from the busiest point on Queen St, according to official counts by HoTC. Perhaps with De Bretts as the other contender for best site. Both will be even more dominant when High and Shortland are de-autoed and even more over-flowing with people…. Chris [of Workshop] has always said he will leave if it becomes a shared space, frankly I think he’ed have rocks in his head to do so, but anyway if he did that site would be gratefully snapped up by someone else, who will thank him for his stubbornness. His determination that all his customers are people who only ever drive and are incapable of using a carparking building and walking a short distance past other likely attractions, so must try to park outside the store is not credible. And is even more baffling as he has other stores in Newmarket and Ponsonby as options for the more auto-obsessed, and good looking online offer for anyone who think his stores are somehow inaccessible. Frankly I think it’s fear of change and these guys own drive-everywhere habits that they are reflecting. Wait, lower Swanson St. Hasnt that always been pedestrian? Are you saying they started on a pedestrian mall? No, and perhaps this is what informs their view, when they were there it was still a street, and way way better than it is now. But it wasn’t that you could drive up it [or down only, I think] that made it good, but rather the fine grained scale of the Victorian and Edwardian buildings up it on both sides that delivered a stepped phalanx of small retail spaces on the narrow lane with walk-up commercial spaces above. Perfect for new businesses like fashion retail. It was a little corner of urban cool in the dark days of the 80s. The pedestrianising never helped the street because of the scale of the buildings that replace the old ones means there is nothing on offer and the upper half is just vehicle access to parking buildings. Exactly what not to do to city streets. naturally way they and others then moved over to High St, the back end of which got similarly violated in the 80s by autocentric and badly planned and designed developments. 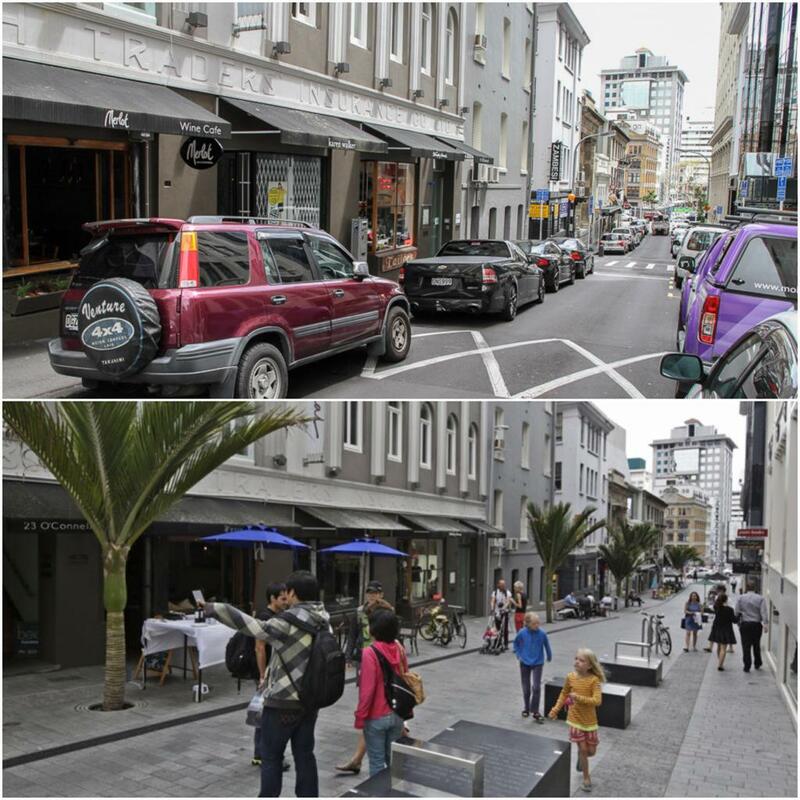 nah they should just pedestrianize high street but leave a carpark for a tradie’s van just in front of these shops. O’Connell Street is really fortunate to have an interesting mix of architectural facades which haven’t changed very much since I started work in the Southern Cross Building (now sadly demolished) in Chancery Street, way back in 1954. Human sized metropolitan urbanism without oversized monoliths and vast forecourts………………….I just love it and hope it doesn’t get hit by ‘over- progress’ in the years ahead.